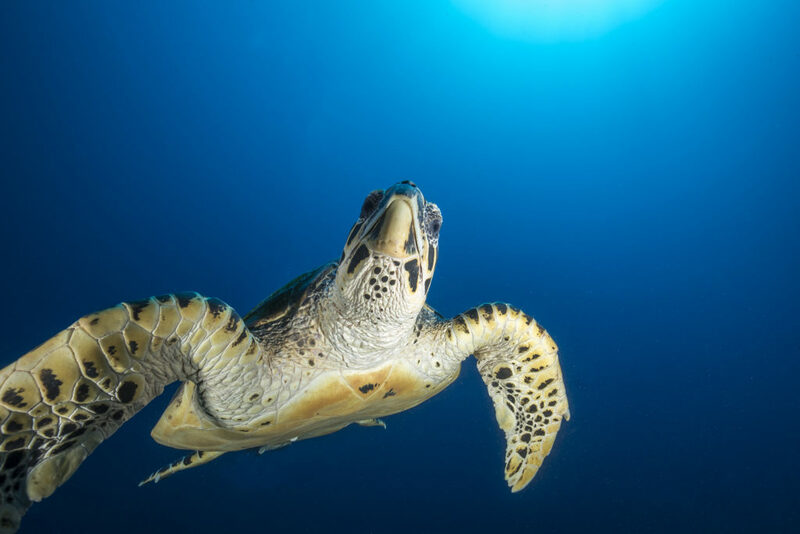 In November 2018, The Mission Blue team led by expeditions director Kip Evans embarked on an expedition to explore Palau with conservation partner Oceanic Society. Palau is part of the Micronesian Islands Hope Spot and we dove in the the nation’s vast protected areas to learn about the high biodiversity and threats faced by marine life. Throughout the expedition, the team met with local conservationists, political leaders and commercial operators and nonprofit organizations to discuss strategies to bring more resources. One of the goals of the expedition was to capture video and photo content, above and below the water, to tell the story of marine conservation gone right in the Republic of Palau. Dive in and enjoy! We would like to extend a very special thanks to our funders ACTAI Global Foundation, Baum Foundation, and Martha Shaw’s Foundation – this expedition wouldn’t have been possible without their support! We would also like to thank our equipment sponsor Scubapro and Fish ‘n Fins who help immensely with all the logistic for this expedition. The 2,100 Micronesian Islands are scattered across the heart of the southwestern Pacific Ocean, and include four main island groups: the Caroline Islands, the Gilbert Islands, the Mariana Islands and the Marshall Islands. This massive region is larger than the continental United States and contains some of the world’s most bio-diverse marine ecosystems including stunningly pristine coral reefs. Unfortunately, destructive fishing methods have extracted staggering amounts of ocean wildlife, removing vital pieces of the marine food web. 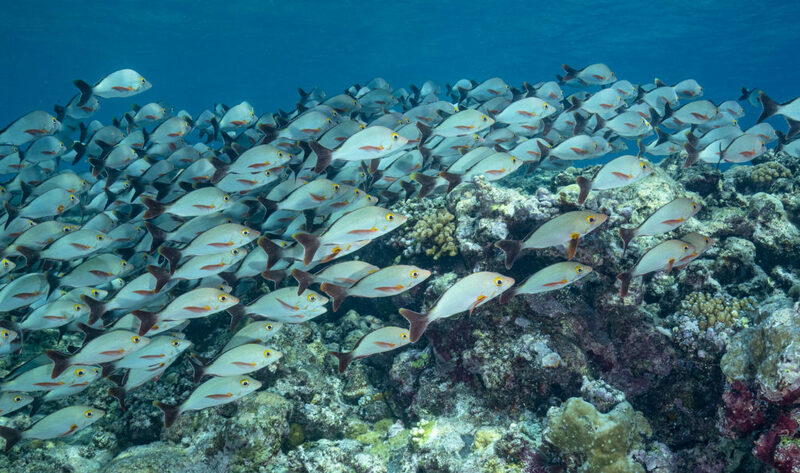 Luckily, the four main island groups’ local governments have committed to the Micronesia Challenge, promising to effectively conserve at least 30% of the near-shore marine resources and 20% of the terrestrial resources across the area by 2020. 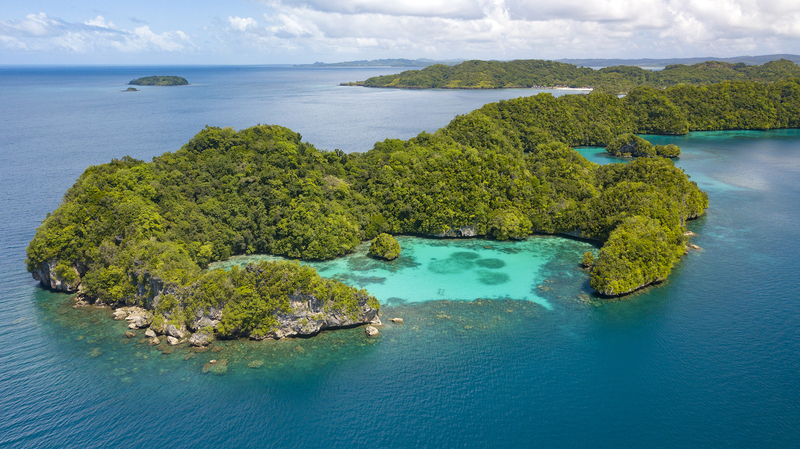 The Republic of Palau is one of the nations among the Micronesian Islands that has made serious waves in ocean conservation. In 2009, Palau became the first nation to fully protect sharks in its waters and in 2015, put its entire Exclusive Economic Zone (EEZ) – all 237,850 sq miles of ocean under Palauan jurisdiction – under protection. Palau’s reach is expansive: its territory encompasses approximately 340 islands, possessing some of the world’s greatest biological diversity. 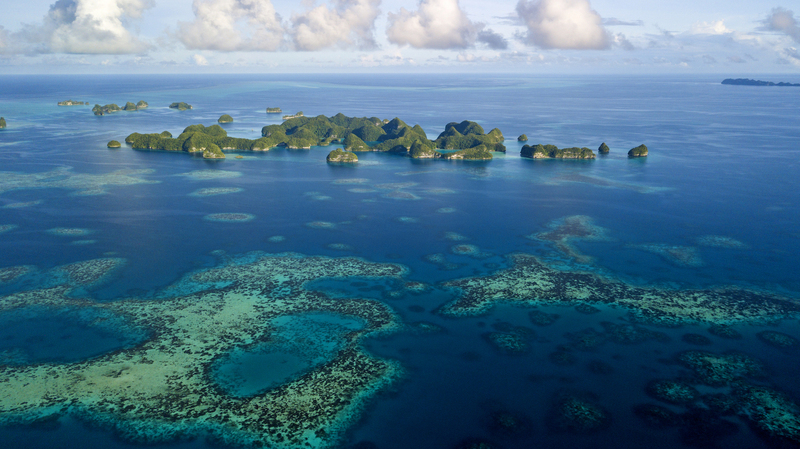 Few places on Earth are as isolated as Palau. Three of the world’s major currents collide here, creating a giant mixing zone that drives productivity for thousands of species. Read more in our initial expedition announcement, Mission Blue Heads to Palau to Investigate MPA Successes and Challenges. President Remengesau sat down with the Mission Blue Expeditions team aboard the Ocean Hunter III for a roundtable discussion about ocean conservation. Joining the president in discussion were Dr. Sylvia Earle, Founder of Mission Blue; Glenn Bucksbaum, President of the Baum Foundation; Rod Mast, President of the Oceanic Society; Fisk Johnson, CEO of SC Johnson and David Shaw, Managing Partner of Black Point Group. As with many discussions involving diverse stakeholders, the discourse proved insightful. 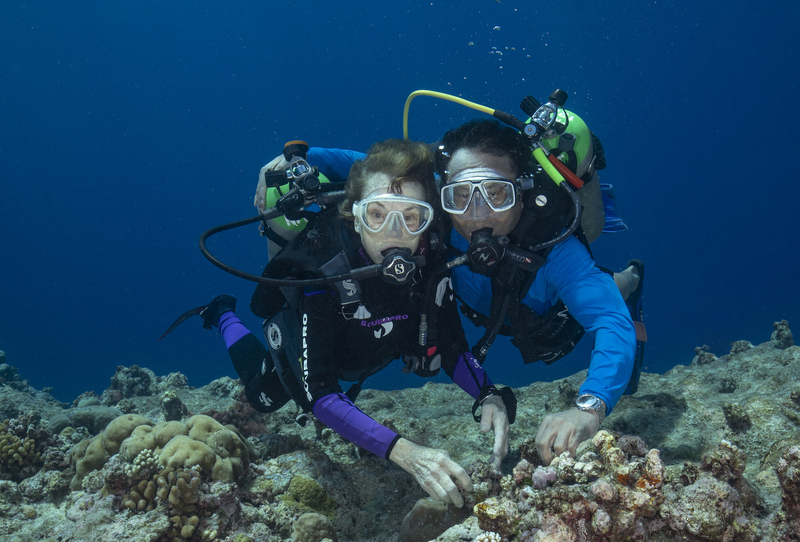 As the discussion drew to a close, in true form, Dr. Sylvia Earle invited President Remengesau and the others for a dive to go visit the “president’s aquatic constituents”, as she put it. After a quick zip on the chase boat through German Channel, suiting up and splashing in, Dr. Earle and President Remengesau were in the deep making new friends. Read more on President Remengesau’s radical approach to leadership and ocean conservation on our second expedition blog, The Blue Ocean President. The waters surrounding the islands that make up Palau are known for being among the healthiest on Earth, boasting a rich biodiversity unparalleled by nearly anywhere else. The Republic of Palau and President Tommy Remengesau Jr. deserve a standing ovation for protecting so much of their waters as a no-take zone. But what about the parts that are fished? And what about the Palauans who have relied — and continue to rely — on the ocean for sustenance and income? How does one strike a balance so that all marine life including humans thrive for generations? Ngerechelong Rangers conduct daily patrol to check fishing permits and boat registries, and to ensure no one enters the MPA network. They also check the amount of catch on the boats to prevent overharvesting; fishermen can only have 100 pounds a day. Learn more about Palau’s approach to MPA reinforcement in our third and final expedition blog post, All Hands On Deck: Protecting Biodiversity in Palau. Watch as Dr. Sylvia Earle dives in the Jellyfish Lake, where thousands of stingless jellyfish bop around in isolated serenity. This body of water is one of the only places on Earth where this species can be found – an ethereal wonder that perfectly encapsulates the marvel that is the nation of Palau.